Working on this suite was so, so much fun! Megan and Ryan gave me a few defining words such as “simple, clean, classic, floral, and burgundy” and let me run with it from there. 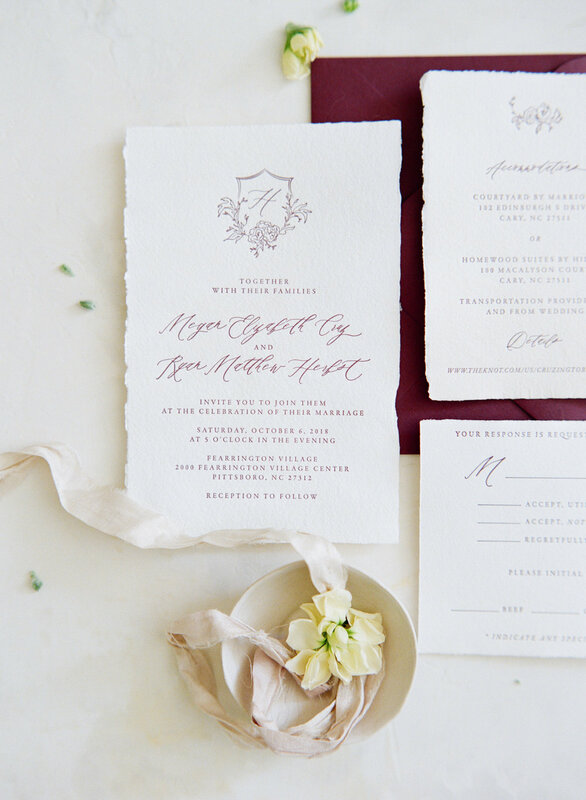 I’m so thankful they opted for beautiful Arpa handmade deckled edge paper and a nice fluffy letterpress print method. 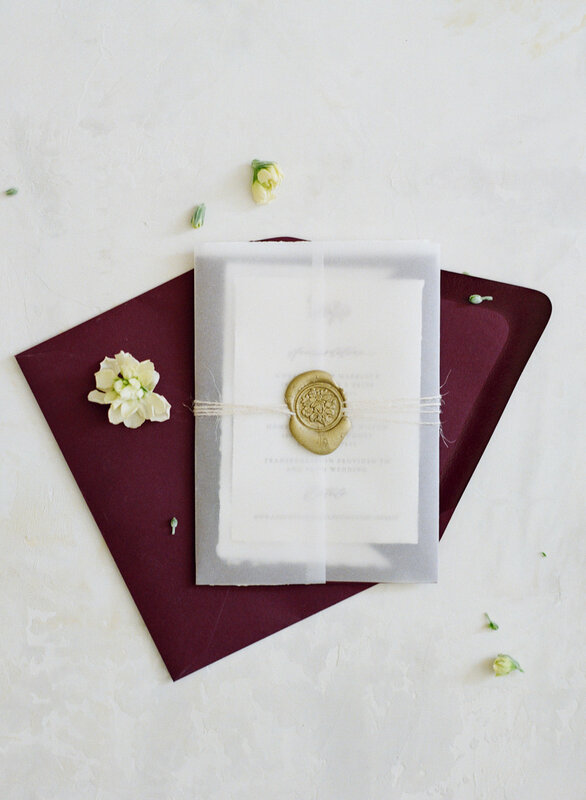 Their suite arrived in wine colored envelopes hand-calligraphed in gold ink by yours truly, and opened to a three-piece set enclosed within vellum, wrapped in twine, and sealed with a timelessly elegant wax seal.